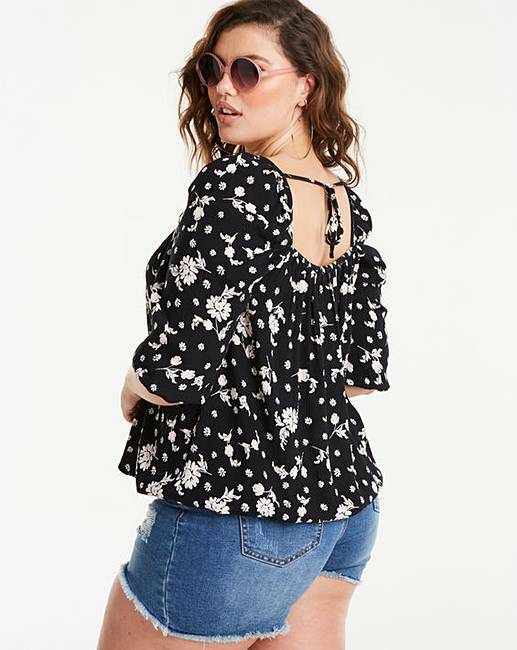 Black Print Crinkle Puff Sleeve Top is rated 5.0 out of 5 by 2. 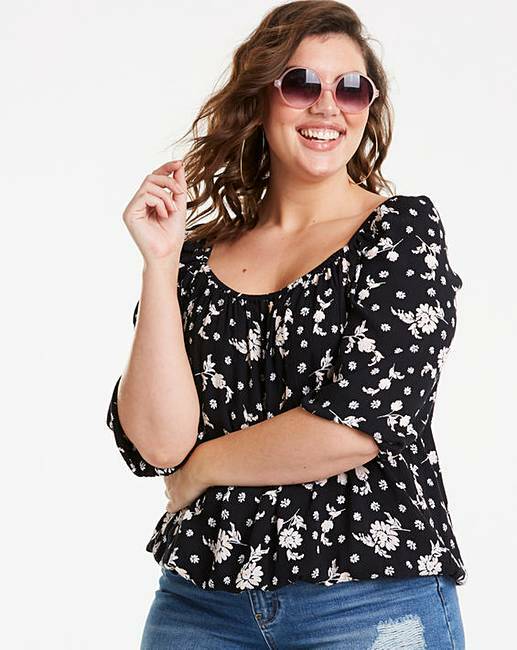 Look great in this crinkle square-neck puff-sleeve top. The top is fashioned from a soft crinkle viscose fabric and features a square neck with tie detailing to the back. 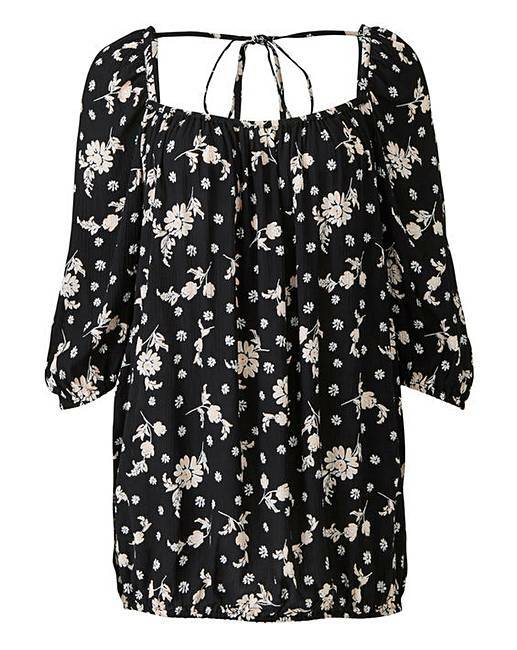 The top is available in a variety of colours and prints and looks great paired with jeans and sandals. Rated 5 out of 5 by Basil63 from Perfect, print for price I bought this blouse thinking the price is cheap it will not be that good. However I was surprised the feel, the cloth and the way the product hung on my body, it was perfect. I felt slimmer and more confident, therefore definitely recommend this blouse. Rated 5 out of 5 by Smithy from Perfect fit Just got this and love the fit and the fabric. So comfortable to wear.